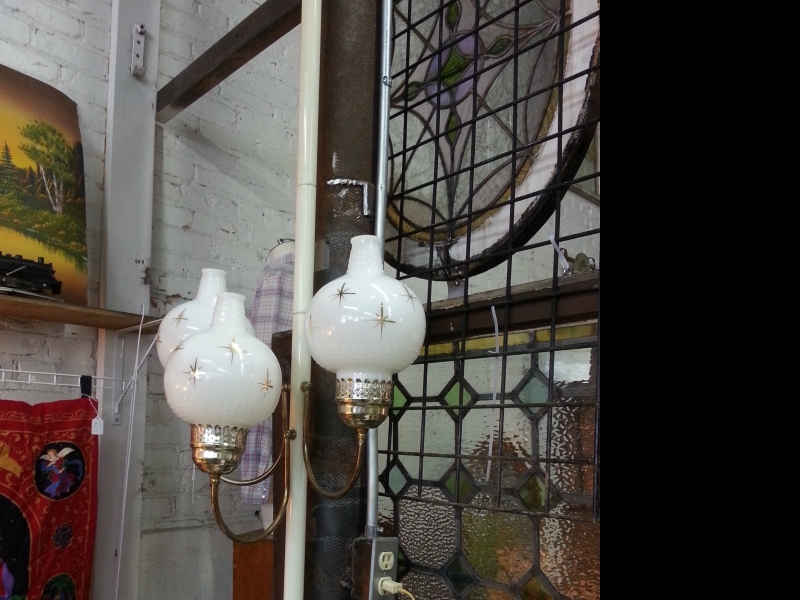 Amazing vintgage lamp with all three globes original and intact. Mounts with tension and is adjustable for different ceiling heights. Globes have wonderful gold starbursts on them. Different settings allow one or all three lights to be on.